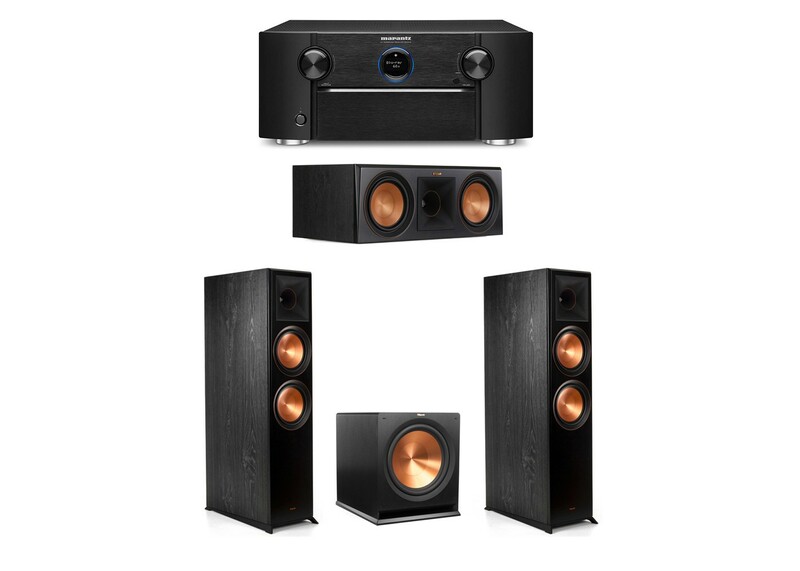 Klipsch Reference Premiere RP-8000F floorstanding speaker delivers incredible cinematic sound by leveraging the Klipsch proprietary Tractrix horn-loaded technology and dual 8-inch copper-spun Cerametallic woofers. Marantz SR7012 Receiver - 9.2 Channel Full 4K Ultra HD Network AVSurround Receiver with HEOS – control with Amazon Alexa voice commands. Marantz has long set the standard for AV receivers combining home theatre prowess with superb music ability, and the SR7012 takes that capability to unprecedented levels, combining the very latest technology for an immersive movie experience, including full 4K compatibility and unparalleled 3D surround sound decoding, with precision audio engineering and tuning.